2011 November « THE BRYCE IS RIGHT! Changing the U.S. Constitution can be a rather tricky proposition. To amend it under normal circumstances requires a proposal to be deliberated and approved by at least two thirds of both chambers of Congress, a procedure familiar to most Americans. Assuming acceptance, it is sent to the various state legislatures where a minimum of 75% must approve of it for passage. However, Article V of the Constitution has a provision whereby a Constitutional Convention (aka, Article V Convention, or Amendments Convention) can be called by at least two-thirds of the states (34) whereby amendments can be drafted by a separate body of delegates, not the Congress, before being sent to the state legislatures for ratification (again, at least 75%). The scope of the convention must be very specific in terms of what it proposes to address. Although this vehicle is at our disposal, the last time such a convention was called was back in 1787 in Philadelphia. That’s right, 234 years ago. 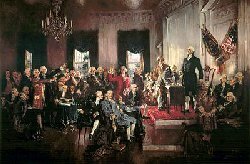 Although there have been suggestions of holding a Constitutional Convention over the years, the Congress has interceded and taken action to avoid usurping their authority. We now live in a time though where the approval rating of Congress is at an all time low, and the American public has genuine concerns about such things as curbing the influence of lobbyists, redefining the term limits and benefits of the Congress, campaign reform, and a balanced budget, to mention but a few. Taking such important matters out of the direct hands of the Congress, who the public no longer trusts, would go a long way to overcome the partisan politics in the capitol. The question becomes, who would push for such a convention? Since the president and the Congress represents the status quo, they lack the political chutzpah to push for such a proposal. In fact, it needs to come from the states themselves, but because of the disparity between them, this too is highly unlikely. Instead, a GOP presidential candidate is the logical choice as there are no Democratic candidates. Whoever is first to propose it will be wildly embraced by the American people as a whole, not just one party, as they realize some significant changes have to be enacted in the manner by which our government operates. Think about it, it’s more than just the right thing to do; it’s bold, it’s imaginative, and it makes the person look very presidential. Let us not forget, George Washington presided over the last Continental Congress. Understand this, the president serves in no official capacity in enacting constitutional amendments, but the GOP nominee could force such a convention simply by creating a firestorm of public demand. Keep in mind, not only would the Tea Party like to see such a convention, their opposites, the Occupy Wall Streeters, would also be interested in such a concept. Frankly, it’s a no lose proposition for the GOP nominee as the Congress and president will certainly not call for it, and the public would embrace it. I wonder if any of the GOP candidates are smart enough to grab the brass ring. Now, if all of the GOP candidates would get behind such a proposal…Wow! How you interview someone in business is somewhat different than how Barbara Walters interviews a celebrity on television. Although there are lessons she can teach us, you must remember you are not there for anyone’s entertainment. True, you want to be sociable, but you also need to get to the point. The first thing the developer must know is some background information on the person to be interviewed. The developer must be able to assimilate the user’s job and his interests to better serve the user as well as to gain his trust. To do so, pertinent organization charts and job descriptions should be referenced in advance to study the scope of the user’s area of responsibility and employee reporting relationships. Further, the developer should understand the user’s products or services he is responsible for, along with the customers and vendors he works with. The more the developer knows about the user prior to meeting him, the more credible he will be and the better his chances are for satisfactorily serving the user. To develop the proper rapport, dress presentably, act professionally, and communicate effectively. Appearances in this regard are very important. Nobody wants to confide their interests in a Huckleberry who doesn’t appear to know what he is doing. Dressing and acting professionally expresses respect for the other person, as does a firm handshake. Very important: speak to communicate. This means the developer should communicate in terms the user will understand, not the other way around. Technical jargon should be avoided as this may be misinterpreted by the user and may even alienate him, thereby creating a hostile or uncooperative working relationship. Further, avoid the temptation to use slang, try to be as articulate as possible. Learn to read the body language of the person you are interviewing. Look for signs of being guarded versus being open and candid. Likewise, consider your own body language so that you invite discussion. You want to convey an image that you are genuinely interested in what the user has to say. For example, don’t let your eyes wander around the room during the interview, stay focused on what the other person is saying. Observe protocol. Remember, when you are visiting the user, you are on someone else’s turf. Do not be presumptive, take nothing for granted. Ask permission to tour the user’s area, talk to pertinent people, and gather notes. A little professional courtesy can go a long way. During the interview, take plenty of notes. Frankly, I am of the old-school whereby I use nothing more than paper and pencil. I still find users who are intimidated by computer laptops and other recording devices. As an aside, some of the best interviewers I have seen over the years knew “shorthand” which simplified taking notes, but I’m afraid this is a language facing extinction. If you wish to use computer technology during the interview, be sure the user doesn’t have a problem with it, nor that it will inhibit his dialog with you. In terms of venue, the interviewer must determine a suitable site to conduct the interview, either in the user’s office, your office, or a neutral site. Users tend to be more comfortable in their own offices where it is easier for them to reference paperwork for you. The only problem though is the possibility of interruptions (phone calls or people stopping by). Holding the interview in your office tends to be more threatening and may actually inhibit the person by making him think it is an inquisition. A neutral site near the user’s area is better to minimize distractions and allows the user to remain comfortable in his own area of responsibility. For example, I have seen some excellent interviews conducted in sequestered meeting rooms where the interviewer can scribble notes on a blackboard or flip chart. This can be very conducive for clarifying points during the interview, as well as general brain storming sessions. to a question before asking it. A well structured interview, therefore, is used to confirm your suspicions more than anything else. As in the lawyer analogy, avoid “fishing trips” whereby the interview goes down pointless avenues of discussion. Remember, if you are not using the right bait, you’ll catch nothing. Stay focused, stay in control and don’t let the interview digress into meaningless ramblings. During the interview, there will be a lot of “give and take” in terms of controlling the direction of the interview. The interviewer should avoid jousting but always remain firmly in control of the meeting. Stay on target and accomplish the objectives as specified on your interview outline. decisions to be supported by the information, thereby justifying the need for it. This is a nice alternative to constantly asking, “Why?” Another technique is to simply ask the user for examples in order to illustrate his points. My Windows XP computer finally died last week after six years of loyal service. The symptoms began with a fluttering screen which made everything appear to be swimming and caused some rather serious eye strain on my part. I also noticed a strange whirling of my hard drive caused by my swapper file (which is used to handle virtual memory). At first, I thought it was nothing more than the monitor going out, but discovered the video card on my motherboard was dying. In other words, it was time. Wanting to ease its pain, I pulled out my .45 and shot it square between the hard drive thereby ending its misery. Fortunately, I had everything backed up to a portable external drive so I knew I was safe. 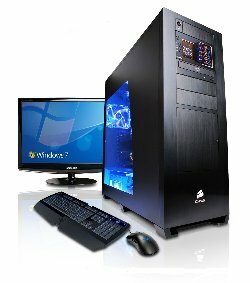 Our company is probably better than most in taking care of our equipment, thereby stretching out the longevity of the computer. We still have operational hardware and software that is more than twenty years old, much to the chagrin of the various vendors. No, we do not believe in regularly contributing to their cash flow. In this case though, the hard drive and video card died and it was time to upgrade, like it or not. The machine was replaced by a new box which quadrupled the amount of memory, and hard drive space, not to mention processor speed. I took it to the office and swapped out the old with the new and booted up the computer. The machine came with Windows 7 Professional pre-installed and the start-up time was surprisingly nominal. After using Windows products for a long time now I had grown accustomed to a lot of “hurry up and wait” time. If you haven’t guessed by now, No, I am most definitely not a fan of the operating system as I consider it a necessary evil that suits the masses. I view it more as mass mediocrity as opposed to state of the art. Nonetheless, Bill Gates and company laughs all the way to the bank. After the computer started, I registered the product on-line and installed an anti-virus product, a lesson I learned the hard way years ago. I then moved my files over from the backup device, downloaded new Internet programs, and organized the desktop. So far, so good. Next, I tried to install some older programs I actively used for a number of years, one of which was Lotus SmartSuite which competes with MS Office. Consequently, I wasn’t too surprised when Win7 informed me Lotus could not be installed. Next was a copy of Adobe Pagemaker which was also prohibited from loading. And finally, a DOS based financial package we’ve used for years. 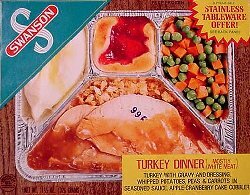 Admittedly, we probably should have upgraded these products over the years, but we didn’t as they satisfied our needs. Nonetheless, we had thought Win7 would provide a migration path for such older programs but they do not. We also tried to change the “Compatibility” settings to run these programs under Windows XP which, of course, did not work. Basically, we were stuck. Other than these programs though, everything operated properly under Win7. My next dilemma came when I tried to print a document on our Lexmark wireless printer which is about three years old. Unfortunately, Win7 wouldn’t connect with the machine. I installed the printer driver numerous times before researching the problem on the Internet where I discovered there was an incompatibility issue for this particular printer. I went to a Microsoft web site who claimed to have a correction for the problem. Alas, it was the same drivers I was installing earlier. In other words, if I wanted to keep the computer, it was time to purchase a new printer, and the price of computing kept going up. All said and done, installation of the new computer took approximately two days of my time which I could have obviously spent more productively elsewhere. I finally came to terms with my new computer and am now using it as part of my daily business life, despite its inadequacies and incompatibilities. I think we’re all familiar with Microsoft commercial where users proudly proclaim, “I’m a PC and Windows 7 was my idea.” Frankly, if it truly was the idea of these ignoramuses, they’re not particularly bright. I for one am NOT a PC, and Windows 7 was certainly not my idea but, as usual, we’re stuck with it. Having been in the systems business for over three thirty years now, I am probably more adept at upgrading computers than most people. However, the thought occurred to me, if I am having this much trouble, imagine what John Q. Public is experiencing. No wonder everyone is depressed as we are all made to feel inferior by our technology. I only wish the people would Occupy Microsoft as opposed to Wall Street. As to my older programs I can no longer run on Win7, I have moved them to an old WinXP machine where they keep chugging away. I really resent being extorted to upgrade. As for my office suite of programs, I guess I’m off to Google Docs. Meanwhile my 20 year old OS/2 computers sit quietly in the corner, still running, and no crashing. Yea, it is possible to build a reliable operating system, but don’t tell Microsoft. If you’ve visited our office in Palm Harbor, Florida, you know we work in a charming Key West style building on stilts. It was built this way because of our close proximity to the Gulf of Mexico and related flooding regulations. It’s actually a cozy office offering comfortable quarters for us. There is only one problem with it, nobody can find us from the street. In front of our office, is a small drainage ditch which parallels the highway. It’s actually more than your typical ditch as it runs into a nearby estuary connected to the Gulf. This means we can watch the tides go in and out during the day. It also means we have some rather interesting plant life growing in and around the ditch, namely mangroves. A mangrove is not a particularly attractive tree. In fact, it is a rather unassuming scrub tree of medium-height (about twenty feet) that grows in saline coastal sediment habitats. It’s a very evasive jungle-like plant with a tangled root structure. Because of our climate, Florida is one of the few areas in the country supporting the species which causes environmentalists to become sensitive about their protection. Regrettably, mangroves took up residence in our ditch before we moved into our office and grew rather prolifically. So much so, you cannot see the street from our property which is a good thing in one regard (by offering privacy and muffling highway noise), but it also conceals our property, making it difficult for customers and vendors to locate us. In fact our office is only visible from the driveway which means if you blink your eyes as you travel down the road, you will likely miss our office, as many people do. Even the post office, who should in theory know all of the routes to deliver mail, frequently have trouble locating our office. Consequently, we rented a post office box as opposed to depending on mail finding its way to our door. Obviously, this is cause for concern as we want people to easily see our office from the street, not only to locate us, but also to promote our business. 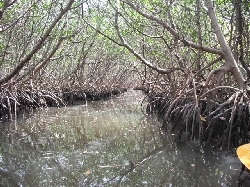 Our first inclination was to cut back the mangroves to a more reasonable height, such as five or six feet. We certainly did not want to eliminate them as they offer us some privacy, we just wanted them cut back a bit to make our office more inviting from the street. We then contacted the county to try and determine what regulations were required for such a job. After spending considerable time traversing the county’s bureaucracy, we finally located the gentleman in charge of the mangroves who made it clear, obnoxiously so I might add, the trees were not to be touched for any reason. In fact, he was extremely irritated we would even entertain cutting the mangroves. We tried to patiently explain our dilemma and intentions but to no avail, the county would not allow anyone to touch them except county workers which, as I was led to believe, would be when hell froze over. We then began to consider alternatives. First, we brushed up our corporate sign in front of our building to make it more eye-catching. Unfortunately, the mangroves blocked it in such a manner as it could only be seen when traveling in one direction on the street, not both ways, and in the blink of an eye. Next, we painted the office an attractive shade of yellow which we figured would attract attention. The idea was good, but the mangroves still camouflaged the building. Finally, we tried some simple stick signs towards the front of our driveway to let people know we were in here. This idea worked at first but was quickly snuffed out by the county who said our signs were not allowed as they were too close to the road. Maybe we should try a loud 50′ Las Vegas neon flashing sign. Then again, there probably is a county regulation against that as well. What is perhaps most frustrating is it appears there is nobody in the county willing to help us find a solution to our problem, but they sure are quick to take our taxes. I don’t know who we angered, but the county bureaucrats sure seem bent on burying us. So, here we sit, hidden behind those damn mangroves. Every now and then we see a car flash by on the street. 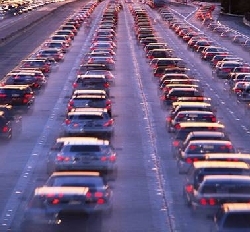 Just as a reminder, if you’re looking for our office, don’t dive too fast on Bayshore Boulevard (aka, US Alternate 19). You’ll probably miss us. 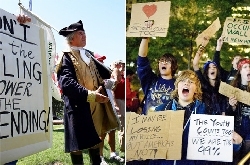 HOW FAR APART IS THE TEA PARTY AND OWS? Whereas the Occupy Wall Street (OWS) movement is generally regarded as the left wing of American politics, the Tea Party is considered its right wing counterpart. Although the media tries to draw comparisons between the two, both sides rebuff the other. Their tactics and general philosophy may be different, but the two are actually not as far apart as you might think. To illustrate, OWS organizers recently articulated a list of demands they want the government to implement (see “The 99 Percent Declaration”; alternate Site). * Both sides want to implement campaign reform and revision of lobbying laws. * Both sides want to enact term limits for government officials. * Both sides want to implement reforms to our current tax system. * Both sides want to reduce the national debt. * Both sides want more jobs for Americans, and curb outsourcing. * Both sides want to reform our immigration policies. * Both sides want to ease excessive costs resulting from our military policing of the world. * Both sides want an end to currency manipulation. * Both sides want to implement banking and securities reforms, not to mention ending the Fed. * Both sides want to reform public education. * And believe it or not, both sides are interested in protecting the planet. The two sides are far apart on some issues though, such as universal health care, forgiving student loans, mortgage foreclosures, and abolishing the electoral college. However, they are actually not as far apart as you might believe. The difference between the two groups though is HOW these issues should be addressed. The 99% Declaration lists specific remedies for solving these problems which I believe is a fatal flaw in their declaration. Instead, it should simply define what the problems are as they see it. Maybe their solutions are acceptable, and maybe they are not. The point is, there is too much of a temptation in this country to “leap before you look”, to try to offer solutions before we understand the problem. That is like prescribing a treatment before having a doctor examine you. As a patient, it is your responsibility to try to articulate your perception of an ailment to a physician; in contrast, it is the doctor’s responsibility to interpret your symptoms, diagnose the problem, and prescribe a suitable treatment, and there may very well be several different treatments to solve a particular problem. Let me give you an example, Article 4 of the Declaration’s grievances discusses, Term Limits: “Members of the United States House of Representatives shall be limited to serving no more than four two-year terms in their lifetime. Members of the United States Senate shall be limited to serving no more than two six-year terms in their lifetime.” That is a solution. The problem is that people are tired of career politicians who make their livelihood from politics and become less responsive to the interests of their constituents. Their solution may be flawed as well, e.g., are terms to be consecutive? Can they go from one chamber of Congress to another? How about simply abolishing their Congressional pensions instead? Why this particular combination and not something like, “no more than twelve years in Congress” (and let them figure out how to spend it). In other words, I believe the 99% Declaration should contain nothing but a definition of the problems and then hold a separate convention to discuss alternatives and formulate a suitable solution. Instead, the 99% Declaration is another prime example of “Fire, Aim, Ready” that plagues this country. As someone who has taught planning and has read many feasibility studies over the years, I commend the OWS for their efforts in producing the 99% Declaration, and recommend all concerned parties read it carefully, including the Tea Party. It is a good first draft, but it needs a considerable amount of polish to make it palatable to Americans as a whole. My recommendation to the authors: concentrate on defining the problem as precisely as possible, deliberate on alternatives, select a suitable solution, and then pitch it to the country. Just remember, it’s “Ready, Aim, Fire”; any other sequence is counterproductive. Today, a new generation of whiz kids have emerged in corporate America who are again charged with turning things around in their companies. Basically, management is hoping to groom their next generation of managers by allowing these “phenoms” to shake things up. Whoever is successful moves up the corporate ladder in much the same way as Donald Trump’s “The Apprentice.” Realizing they have only a limited time to make a difference, such as six months before they have to move on to their next assignment, they tend to slash costs as opposed to nurturing something new, and God help anyone who gets in their way. Case in point, I have a friend who for several years has been a supplier to a local division of a Fortune 500 company. Over the years he has developed an excellent relationship with the company who trusts him in terms of securing quality industrial supplies for their manufacturing floor at affordable prices. My friend’s company devloped a reputation for going above and beyond the call of duty to serve his client and keep the Fortune 500 division happy. It wasn’t cutthroat pricing that sustained the relationship, but competitive pricing coupled with excellent service and prompt delivery. Frankly, this was a classic example of a win-win relationship between two companies where everyone was satisfied until four whiz kids came to town and tried to make a name for themselves. Most Americans are familiar with the vast debt our country has compiled ($14.8T as of this writing and growing steadily). We are also acutely aware of the burden of mortgages and credit card debt, particularly in this age of high unemployment. As if things weren’t bad enough, a new statistic has emerged courtesy of the College Board who reports student loans are about to cross the $1T threshold as students are borrowing twice as much as just a decade ago and the outstanding debt has doubled in the last five years alone. The debt is growing so rapidly that the Federal Reserve Bank of New York recently calculated this will make Americans owe more on student loans than credit cards, which is a frightening thought (see Northern Voices Online, 10/21/2011). 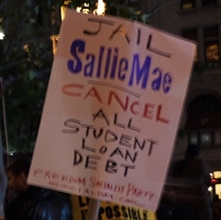 Not surprising, among the demands made by the young “Occupy Wall Street” protesters is to have their college loans expunged. Such loans are typically sponsored by the federal government and private financial institutions. To expunge them would mean the taxpayers and private financial institutions would get stuck with their bill which would obviously compound an already overbearing debt. Plain and simply, it wouldn’t be fair; not fair to those who paid for their education, and not fair for taxpayers to pay a tab which others incurred. Americans place a lot of emphasis on education but we should be mindful of the fact that attending college is not a right, but a privilege. During the Depression years prior to World War II, there was no more than 1.4M college level students attending approximately 1.7K institutions of higher education. Today, according to the Digest of Education Statistics, over 19.1M students attend 4.4K colleges, a quantum increase. Since the 1960’s alone, when colleges experienced an influx of students seeking refuge from the Viet Nam war, enrollment has more than doubled. Back in the Depression, money was scarce and, as such, it was common for all of the members of a family to work, often sacrificing higher education in the process. Back then, a High School diploma was considered a prestigious achievement. Even a Junior High diploma was prized as some people could not afford to rise above this level. Unless something radical happens to our economy, I suspect enrollment has peaked in this country and will likely begin to diminish sharply. This will inevitably lead to downsizing of faculty and administrative staff and some campus doors will be forced to close. We’ve already started to see this here in Florida and I suspect we’re not any different than the rest of the country in this regard. So, am I a fan of expunging college loans? Hardly, nor am I a proponent of waiving credit card debt. I can appreciate the dilemma people face in paying off such bills, but a deal is a deal. Where I come from, people who renege on their debt are called “deadbeats,” and I fear we are grooming a generation of them, people who do not understand what it means to live within their means. The only benefit I see emerging from this is that people will begin to realize attending college is a privilege, not a right, and a college education will no longer be taken for granted. I take the institution of marriage rather seriously and figured I would not treat it as frivolously as some people do. As such, I sat down with the bride-to-be and had a heart-to-heart talk with her about why she wanted to get married. We talked for quite a long time. I discussed my marriage, which has lasted over 30 years so far, and the sacrifices, compromises and challenges involved. We also openly talked about religion, children, finances, commitment, even pets. After a lengthy discussion, she came to understand my point-of-view and I became convinced of her love and commitment to her fiancé who was just being transferred to another state as part of his job. As an aside, I wish someone would have consulted me in this manner prior to my wedding in order to solidify my intentions. Only after we felt comfortable with each other did she ask me if I would perform the ceremony for her. I informed her this would be my first such ceremony, but I would put forth my best effort for her. Several months passed and the bride kept me updated of schedules. 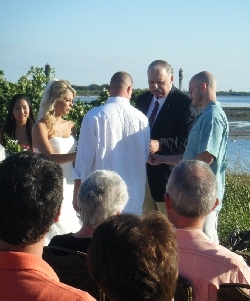 During this time I located a simple wedding oath that complies with Florida regulations. It was hardly lengthy, but quite respectable nonetheless. The whole service would take less than ten minutes to perform which made me a little nervous as I tend to think of traditional weddings in terms of at least an hour to perform, but such was not the case and certainly not what the couple wanted. We conducted a rehearsal on the day before the wedding at the site, which was a prominent hotel located on Tampa Bay. The practice was held late in the day at approximately the same time it was to be held on the following day. It was here that I met all of the relatives, bridesmaids and groomsmen. The service was to be held on a private beach of limited size (approximately 30″ X 60″) which, at the time, still had beach chairs on it and two Corn Toss games in the middle of it. I tried to imagine how over 100 people would be seated on the beach, and if they would be playing Corn Toss during the ceremony. The wedding coordinator from the hotel assured me everything would be cleared and setup appropriately for tomorrow’s service. The rehearsal went off without a hitch and under ten minutes, much to the delight of the wedding coordinator and the bride and groom. My only concern was the prospect of the couple tearing up during the service as they warned might happen during the rehearsal (and did). Note to self: bring a pack of tissues tomorrow in case the waterworks get out of hand. On the day of the wedding, my wife and I arrived an hour early so I could prepare myself and get the necessary paperwork in order. The reception was to be held immediately afterwards next to the hotel pool where staff was busy making last minute preparations. It was a beautiful Florida fall day with a slight sea breeze coming in off the water. Frankly, it was picture perfect, everything was in order, and attendees began to arrive for the ceremony. As part of the service, the couple had two large bulldogs which were important to the family. One was dressed to represent the groom and sported a top hat, the other represented the bride and wore a light dress. My fear was that the dogs wouldn’t behave properly or perhaps have an “accident” in front of the audience, which was a horrible mental image I worried about. Fortunately it was not to be, and the audience found them to be a rather charming addition to the wedding party. As for me, a lot of people knew this was my first wedding service and kept asking me if I was nervous. Now I’ll admit I would like to see the service come and go without any flaws, but having spoken in front of many audiences over the years, I hardly suffered from any stage fright. I just wanted to do my part as dignified as possible. As is common for Florida beach weddings, the wedding was somewhat casual in nature. Although the bride wore a beautiful white dress, the groom wore a comfortable Tommy Bahama outfit, also in white. The groomsmen and bridesmaids were quite casual as well, as were the dogs who behaved admirably. However, as the official in charge of the ceremony I resisted the temptation to go too casual and wore a suit and tie instead, thereby denoting an authoritative figure which I felt was important. At the designated time, the service began and I took my position at the front of the audience on the beach who were seated in organized chairs in front of me. To my left was the groom and his groomsmen, along with the bulldog wearing a top hat. The bridesmaids then came down separately as is customary and positioned themselves to my right, with the other dog in tow. The bride was then escorted down the aisle by both her mother and father. I could see some slight moisture in her eyes and I reached in my pocket to check for the tissues. We then began the service and I methodically delivered it speaking slowly but somewhat loudly as the acoustics were less than ideal on the beach. As we came to the portion of the ceremony for the couple to exchange rings and say, “I give you this ring as a token and pledge of our constant faith and abiding love,” I could see the waterworks beginning to erupt, first the bride, then the groom. I went to reach for the tissues in my pocket but it was too late. I then quickly issued my pronouncement that the couple was legally wedded and invited the groom to kiss his bride, which surprisingly wasn’t too hard for me to sell. The audience sprung to its feet and applauded. The wedding party then withdrew in an orderly procession and I concluded the ceremony. Towards the end of the evening, when my wife and I decided to depart, I stopped to talk to the newlyweds one last time. As I gave them their paperwork signed and sealed, I implored them to be good to each other, in good times as well as in bad. I also admonished them, “When a Bryce marries you, you stay married.” Being a Notary Public is one thing, taking the institution of marriage seriously is something else. I would like to believe I was successful in my debut.